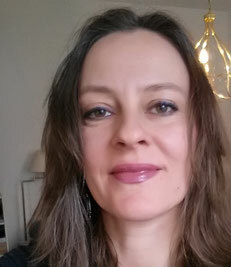 Bojana Radovanović (Serbia/Austria) is a writer and translator. She works on her doctrate in hinstory in univeristy of Vienna. She is a teacher of French , English and latin. Her Poetry annd short stories has publishes in serbia in various antholigy and magazines. Presently she works on her poetry book. She translated two books into serbian language. She lives and works in Vienna. ...jer dok nema kiše ostaće im trag.